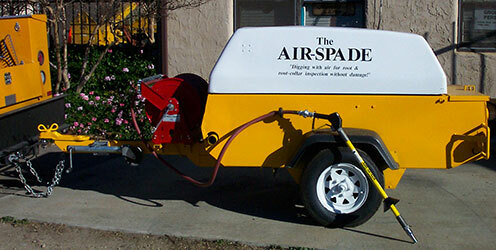 can be used to dig the trenches necessary for root barrier installation. 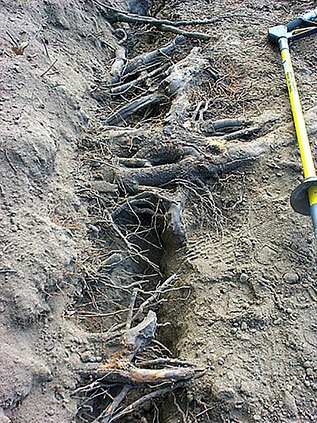 can locate roots (right photo) before they are damaged by conventional digging. It can then be determined if it is safe to cut them. 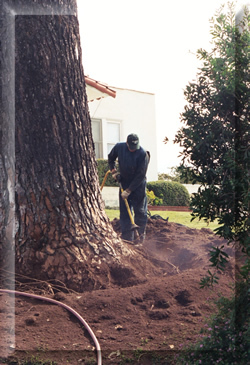 Allows for inspection of the roots & root collar (left photo) without damaging them, sprinkler lines, landscape lighting lines, or utility lines as with conventional hand digging or heavy equipment. 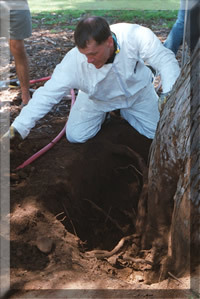 Decay in the root system is the #1 reason for complete tree failure. 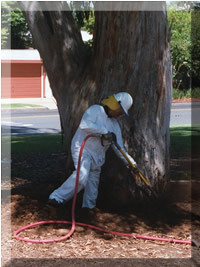 Using the Air‑Spade dirt can safely be blown back to expose the root‑collar or roots. 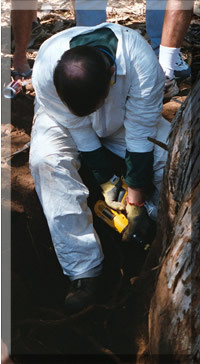 When exposed they can then be checked for decay, girdling, etc.